Dog trackers and GPS collars aren’t exactly a brand new invention but they are becoming more and more popular as technology becomes better and dog ownership is growing in popularity, with so many devices out there to choose from we’ve compiled a list of what we would regard as the best dog tracker available in the UK 2018 and where buy them, we’ve listed mostly ‘every day’ household dog trackers but there may be one or two sport dog trackers as well. Research shows that some people love dogs more than humans, with only human babies getting more empathy from subjects. Dogs are a part of the family, and if you’re reading this then you’ll be a dog owner who is worried about their dog running away one day (god forbid) and you not knowing where they are. Believe it or not there are a lot of different pet trackers and GPS out there competing for your business. Out of all the dog trackers on the UK market in 2019, following hours and hours of walkies we’ve deemed the Pod 3 Dog Tracker to be the best dog tracker money can buy, all things considered. It’s reliable, modern, easy to use and looks great. We thoroughly recommend anyone who’s looking to buy a GPS collar for their pet to take a look at this one! Keep reading past this point to see all of our other great recommendations which includes the best on a budget etc. Dog tracking devices could be a lifesaver in certain situations so it’s important to make sure you get the best one for your budget, breed and geography (more on this later). First though, if you’re unfamiliar with dog trackers then read forward as we explain what they are, if you know what they are just want to know which one(s) we recommend then please skip ahead with the below button. What is a dog GPS tracker? Why get a dog tracker? Here is our top list of dog trackers, starting with the best overall and then after that are strong contenders. Enjoy! The Tractive 1 GPS collar is a very solid choice for those who may want to stay on the cheap side, as it is one of the cheapest in the list. Much better believe it or not than the Tractive 2 which is absent from this list! But in saying that, the Tractive 1 dog tracker is still full of great features and is in fact a great dog tracker despite the ‘budget’ tag. OK, so let’s begin to discuss why we reviewed this and thought it was worth adding to the list. The Tractive dog tracker is a realtime dog tracker that uses 2G/3G signals to relay location information back to the app. The signal strength was very good (as you’d expect) in built up areas and parks near built up areas. Tractive reported a 500m range and we tested it to be true. However, the 500m range does depend on good signal being present 500m in all directions around you, which wasn’t always possible. The Tractive GPS isn’t as strong as some of the others, particularly the ones on the higher end of the spectrum such as the Pod 3. But at this price you would expect less performance wouldn’t you? The tractive is a tiny device and weighs less than 31g which will be more than enough for 99% of dog breeds and an ideal small dog tracker. Probably not suitable for puppies but then again who would lose a puppy except if he or she was stolen. The dimensions are 51x41x15mm and it fit our Jug, Jeff perfectly. Clearly visible at all times but it didn’t disrupt his rhythm. Jeff is a 10kg or so if you’re wondering for ‘scale’ with your own dog. It’s a very robust tracker that can take a knocking as is IPX7 waterproof. All in all, a decent package. In the box you get two clips for a collar (you’ll need get your dog a collar if they don’t have one), a charger and a user manual. Standard stuff. The clips CAN be very fiddly get on so we may recommend using cable ties believe it or not! Not a great feature this, then again we aren’t saying this is the best dog tracker either. Where Tractive shines though, is the sheer amount of features it has for its price and size. It uses virtual fences (zones) so you can designate where’s safe or not which is handy and keeps a location history so you can see any patterns, favourite places so if they ever get lost and god forbid they don’t have a tracker at least you have an idea of where they’ve been. App is nice and easy to use which is a bonus. We used iOs version so can’t comment on Android but generally the performance is identical. Lastly, we’ve covered the cost of the device itself (around £30-£40 usually) but there’s also the elephant in the room which is the subscription fee. And yes, there is one as there often is but the monthly service starts from £4.49 a month which is cheaper than Pod 3 but then annual plan is £54 which is more expensive than Pod 3. You can also get the Tractive 1 in three colours white, camouflage (hunter), pink (Swarovski) and it also comes in XL version which has a vastly superior battery to the basic version. SUBSCRIPTION PLAN NEEDED - starting at only £ 3.33 / month with different subscription plans available. Similar to your cellphone, this low fee ensures you the best cellular service possible with an integrated SIM card. 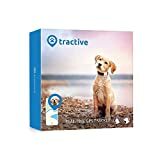 TRACTIVE Dog GPS Tracker - Lightweight & waterproof GPS pet tracker, recommended for pets above 9 pounds. The robust dog finder easily attaches to any collar or harness. LIVE TRACKING - Pinpoint the real-time location of your furry friend when it matters most and share it with family and friends. A full location history of your pet is just one of many special features. VIRTUAL FENCE - define a safe area and get an instant notification if your pet leaves the area. Dog tracking has never been easier. Overall, the Tractive 1 dog tracker is a very strong choice with its price point being the most attractive feature and a decent enough performance. We say decent, simply because you get what you pay for here and in comparison to the best one we recommend (Pod 3) the performance is not in the same league. A good choice for people who aren’t sure yet or those who never veer off the beaten path and venture into very rural areas. The TKSTAR real time pet tracker is a very strong choice with most features you’d want at a price point that’s very reasonable. 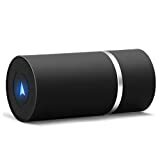 Although this is a pet tracker, the company behind it advertise this as a tracker for pretty much anything – kids, luggage, even friends and the reason for this is because the tech inside this device is probably one of the best if not the best. Why is that? Well, it uses 2G/3G and WiFi so battery isn’t wasted at home but it can also dial into A-GPS. A-GPS, or assisted GPS, is a method to give signals a bit of a nudge if they’re struggling, this means that this pet tracker could work underground or in areas with particularly poor signal. Great! We tested this (not underground but in an area we normally get 1 bar if we’re lucky) and we can attest that yes, the signal pickup power of the TKSTAR is superior to most other dog trackers so well worth a look if signal is you’re issue. The biggest drawback for the TKSTAR, and we feel it’s significant is the setting up of it. It’s not plug and play like many of the others and after sales support is very sketchy. We struggled to get any answers from TKSTAR on some general questions and there aren’t many resources online either. For us, this is what really let’s it down and stops it from becoming our best pet tracker and more of an also ran. However, if you’re OK with screwdrivers and SIM cards then you’ll be fine. ✔◆ the collar size Suited for large cats or bigger,like fairly big Tom cat；suit for Medium or large dogs.pls kindly note it.tks. The Kippy Vita GPS collar is another strong choice which ticks all the right boxes. We would probably say that Kippy is a bit more cumbersome than the others and looks bigger. The dimensions are 2.6 x 6 x 4 cm and it weights 45g which does actually make it bigger than some of the better trackers in our list, especially the top dog – the Pod 3. It does have an unique design though with different coloured fascias. There are more colours available and the green is just one of them. This is one of the plus points if you’re into ‘style’ so to speak. It’s made of steel and extra grip velcro if you’re wondering as the image doesn’t quite make it obvious. It is waterproof, shockproof and tough. It also comes with a very generous 2 year warranty should something not be as expected. However, there are some comments about poor customer services – we cannot comment on this as never required their services but do take this into consideration but not as gospel. In terms of features, it’s got it all – obviously the default dog tracking capability but also an activity monitor, usage of zones, historical data and uses an iOs and Android app. Lastly, it has a feature most of the others don’t which is goals! Yes, just like your MyFitnessPal or FitBit you can set exercise goals for your pet and help them hit it every day based on the feedback the tracker is giving you. Now this is a nice feature and we thoroughly enjoyed putting our boy through his paces while testing this feature. It’s a cracker. It needs two Lithium ion batteries and two are included, our gripe with the Kippy Vita is that it’s power lasts for maybe 3-4 days as opposed to the 7 they advertise. The Kippy, along with most pooch location devices does need a subscription to keep it going and the rate is £4.99 a month on an annual plan, which is reasonable considering all the features it has.The Vita itself is closer to the cheaper side on top which makes it a pretty solid budget option without being ‘cheap’. The Kippy isn’t the strongest device in the list so you’ll need to be in an area where you can see the sky for this to work, unlike the TKSTAR which can work underground sometimes. This mean you should probably swerve this and choose the Pod 3 or the TKSTAR if you need it to work in very rural areas or indoors. Overall, the Kippy Vita is a very solid choice in this list for most ‘every day’ use, has all the features you’d want, a fairly low subscription price and an extra in the activity goals features. The drawbacks are that there are stronger devices which can pick up signals in this list and also the device itself is heavier than some of the best dog trackers we’ve shown. There are better, there are worse but it’s still a decent purchase if it’s the one that catches your eye. 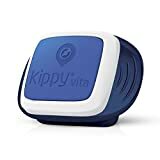 KIPPY - THE PET TRACKER: The Kippy Vita S is an advanced activity monitor that allows you to locate the position of your pet or any animal anywhere through its geolocalised system. Unlike other Bluetooth devices, Kippy has an unlimited reach that works even if your pet is a thousand kilometers away. Kippy works throughout Europe as well as in Turkey, India and South Africa. Next to being a great GPS locator, the Kippy pet monitor also allows you to track your pet's activities and set goals. EASY TO USE: Our Kippy Vita S works with an easy-to-use app that is available for any Apple and Android devices. Simply attach the Kippy GPS tracking device to your pet's collar or harness and conveniently track your pet via your smartphone, iPhone, or tablet. The app features numerous useful features that help you track the location and monitor the activities of your pet. The geofence (or virtual fence) feature, for example, allows you to receive alerts when your pet leaves a designated area. ALWAYS UP TO DATE: The Kippy Vita S GPS pet tracker updates the location of your pet every 4 seconds, so you can monitor them with near real-time tracking! The location feature is perfect for dogs, outdoor cats, and other medium sized pets. Additionally, Kippy will also track your pets' activities such as sleeping, walking, running, playing and how many calories they burn. Throughout the day, the Kippy app allows you to receive status updates from your pet so that you are always in the know. OUR TRACKING SERVICE: Once you have received your Kippy Vita S, you will need to download the app to your cellphone or any other mobile device. Please note that Kippy REQUIRES the activation of a monthly or annual service package which covers all data connectivity costs. Three different paid subscription service packages are available at this time. The service package does not come included with the Kippy Vita tracker and needs to purchased separately on the Kippy website or through the app. The ReachFar GPS dog tracker is a paw print designed dog tracker which clips on to an existing collar and is placed on the lower end of the price spectrum but on the higher end of the feature spectrum. With this, the WiFi area is the safe area but you can also set a secondary Wifi address as a safe zone if you wanted (not sure why but you can if you want). The ReachFar tracker also has a normal mode and an accurate mode should you ever encounter an actual lost dog situation as opposed to ‘out of sight’. This device also comes with a pretty small but really handy LED light feature which comes on when it gets dark. You may think that’s not a good feature but if you’ve lost your dog at night you will then have both a light and a location to look for. Could be a lifesaver. Other features are rustproofing and waterproofing which can withstand heavy rain as the tracker is sealed tight. Also present is the very handy historic location logs making the ReachFar a decent choice for budget conscious buyers, it’s still not ‘cheap’ though considering it will usually come in at £40 and on top of that fact is a micro SIM to enable data connection which is another cost for you. Tracking time is 3 days long which is ample and standby time on a full charge is a whopping 10 days putting this ahead of most of the best dog trackers on this list. The App is also fairly easy to use as standard. Our biggest gripe with this device and perhaps a significant one for many looking for the best dog tracker is the lack of support and even when you get it it’s in broken English. This device is made and marketed from China and that’s what you will get. If you need help or perhaps an exchange then you may struggle. However, the conclude – we didn’t have a problem with the tracker we tested and actually found it as easy as most of the other choices here. However, we felt the design was a bit gimmicky and it does look as cheap as it actually is which we weren’t keen on. Also, having to go and get our own microSim to make it work as opposed to a package you just sign up for is a big let down.Convenience is king and all that. 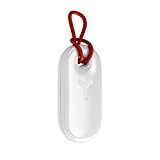 The Yepzon one is not advertised exclusively as a dog tracker but as a personal track- objects, kids, other pets such as cats for example but it’s easy to turn it into a dog tracker by just attaching it to the collar. Of course, as it’s not a specific ‘organism’ tracker there is no activity tracker or zones features built in. So why have we named it one of the better dog tracking devices you can buy? Well, quite simply does it’s job very, very well and a good performance level can sometimes be used to overlook the things it doesn’t have such as the zones or activity monitor. What it does have, is a sleep, modern looking design with a shell that’s shockproof, waterproof and rustproof. So that, to us, makes it a good fit fo doggy use straight away, even the muckiest of pups won’t be able to rattle this device’s cage. Next, is the ‘unbeatable’ (their words not mine) 850mAh battery life thanks to it being larger than almost all dog trackers (some can be upgraded with more battery but not out of the box) and the ability to change the battery consumption settings. According to PetSafe (who coincidentally make one of our recommended best dog crates) the battery could last months! This can only be a good thing. The app you get from Yepzon is also very user friendly and the after sales support from the company is superior to all of the others and on par with Pod 3 and Tractive Dog Tracker. The product is made in Finland by a company who care deeply about the quality of their product and it shows. Even though they market this product predominantly towards parents who want to keep their children safe it does not mean that this isn’t a viable option for dog owners. Drawbacks for this is that it perhaps it can dangle and swing on a moving dog as the place to put the clips are on the top (you can se this pictured) and obviously the lack of activity monitor and zones does hold it back somewhat. However, it’s safety is heads and shoulders above the rest as there are no user names and passwords to hack and there are no buttons to press meaning it can never be turned off and lost for good. Exceptional stuff! Lastly, it’s cost is on the more expensive side as it is a more premium option but the monthly subscription is on the cheaper side and you also don’t need to faff around with buying your own pre paid SIM as there’s on included. 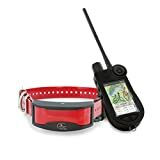 Overall, this is one of the better choices of dog trackers out there with an excellent performance record, a class leading battery and excellent safety features. Design and cost do let it down but you do get what you pay for we believe. To put it simply, the SportDog Tek Series 2.0 tracker is the best dog tracker in this whole list! We can already here you say “Then why is the Pod 3 top of the list then?” Well, quite simply it’s because this one is going to set you back over £600 a time which is insane. But why is the cost so high? Well, the SportDog tracker a the name implies are for trackers and hunters who use dogs professionally to hunt and track and typically this will be out in the wilderness where all the other trackers may not work at all and just won’t be suited. For starters, the Tek 2.0 series uses FHSS which is short for Frequency Hopping Spread Spectrum and what that does is it provides immunity to signal interference & allows for higher transmitter output power, resulting in superior range performance. In short, you will almost always have signal doesn’t matter where you are. Secondly, it uses GPS and GLONASS which is a secondary satellite system. Have we hammered the point home yet that this dog tracker is the bees knees? Topography maps are already loaded on to the device leaving the tracker to concentrate its signal on tracking and not streaming the map. This dog tracker is so powerful that it could track 21 dogs at once for those who are very serious about their hunting and tracking. If you’re that person then £650 on a dog tracker may not seem that much. With the SportDog Tek 2.0 you get a dedicated collar and handset to track your dog(s) and it gives you real time updates on where they are and how they got there as you can see in the image above, it’s able to do this because of the aforementioned superior signal system and powerful technology inside both devices. The Tek 2.0 allows the use of GeoFences (zones), waypoints and even voice control so you can literally send your voice back to the dog’s collar to give them commands (remember this is designed for use with sport dogs and not every day use). Lastly, the collars and the handled device are dust-proof, shockproof and waterproof to the point where it could submerged in water which is a legitimate concern for those training their dogs or hunting in extreme conditions. The collars will last you 24 hours on a full charge and it takes 4 hours to fully charge which is an awesome return. This may seem poor in comparison to the ‘everyday’ dog trackers we’ve mentioned here but in reality you would not use this kind of tracker for a walk in the park. The collars are a bit cumbersome and shouldn’t be used for dogs weighing less than 3.6kg but that isn’t much considering Jeff is a fairly small dog and he weighs 10kg. Overall, if we took price out of the equation then this is the best dog tracker in the UK as its performance is mind blowing, features unparalleled and it can track a whole pack of dogs. However, this is designed for sport dogs and the price is extremely steep. If you’re a hunter or tracker then buy this, otherwise the Tractive is still the best ‘everyday’ dog GPS location device on the list. Bit of a different entry this one as it’s not a dog tracker first but more of a personal GPS tracker similar to the Yepzon above. The reason why the one has been added even though it’s actually on the expensive side and its main feature, the alarm, can’t be triggered by a dog is the HoIP function which picks up on the best signal available as opposed to just using the network the signal belongs to (for ones that need a SIM). However, if the button is pressed by someone who has found your dog as opposed to the dog itself then it will send an SMS to registered devices and then your worries are over and the dog is found! This is a feature that when we realised it was on the Pebbell we couldn’t believe it wasn’t on any of the others at all. Yes, it’s designed for children and the elderly but it is so easy to adapt to a dog and clip on to the collar or a dog harness. We probably recommend the harness for a bit less dangling. 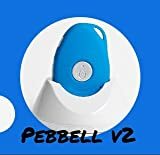 The Pebell v2 is also water resistant IP66 but not water proof so not ideal for hunting or extreme weather walking. Overall, the Pebbell is an outsider in the best dog tracker list but if there was a mini list here for ‘best for lost dogs’ then this would win hands down. This is seriously worth a look due to its multi uses. A serious contender for the title of best dog tracker is the Eureka Marco Polo dog tracking system. OK, so it might look like a handheld gaming device from the 80s but this nifty gizmo can do a lot of stuff, for a decent price and straight out of the box. Let’s take a look. First off, they claim that it works anywhere because it is ‘self contained’ and doesn’t require a SIM card or a subscription or any sort of nonsense like that. It’s closest rival is perhaps the Sportdog TEK series this regard. The lack of SIM or subscription may be insignificant but after 3 years the Marco Polo will have been a much better investment and then will continue to become better year after year. The GPS attachment which will need applying to an existing collar has a powerful battery which can last up to 90 days (!) which is vastly superior to most if not all other dog trackers. Lastly,the range of the collars to the central handheld device is 2 miles which makes it an excellent tracker when out and about but relatively useless in the event of a stolen dog, despite how rare that occurrence probably is. The tags themselves for the collar are water resistant and very hardy. They can resist even the most water loving Labradors known to man which is an exquisite feature. The handset itself is also very tough and can handle a bang or two. The display may not be as crisp as using your brand new iPhone X but this thing tells you everything you need to know about where your dog is, nothing more nothing less. Biggest downside to the Marco Polo is that it’s quite often unavailable and out of stock. This is only available in the US but is well worth a mention because it has the best design of any other dog tracker in this list. 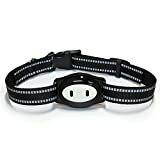 The link AKC isn’t the whole collar but a section of it that latches on, together they work seamlessly and you couldn’t tell from the image. From a performance standpoint this has all the features you’d need and want from a GPS tracker – zones, an easy to use app, LED lights and a round feature from when you’re training your pup. Other than being only available and working in the US is that it’s quite pricey and just be on the AT&T network – live in an AT&T blackspot? Then you’re out of luck. The Link AKC comes in a few sizes to suit your dog but it is still not advised to buy one for a dog 10lbs or less. Mind you, that is a very small dog. Other than the gorgeous looks of this device there isn’t anything more standout about it though. 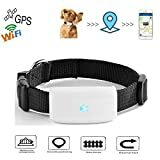 This may not look a great deal of a product and when you look at the price you may that it’s definitely not a fantastic product but the Prom-near Pet GPS tracker is a definite dark horse and one of the cheapest dog trackers on the market which includes most of the features you’d need for low level “casual” use. Lets take a look at what this GPS collar has in its locker and whether or not this one is for you and your needs. The tracker is not the smallest and unsuitable for toy dogs and cats, however its a decent size for most dogs out there. Of course at the price you’re not going to get amazing tech in a small compartment but it’s disappointing that considering it has a lot of watered down features that it is as big as it is – we hope that makes sense. This tracker has a decent app which works from iPhone 4 and above and for Android S3 and above. The app is surprisingly good and serviceable but doesn’t have a lot of features that the best choice here have like zones but it does have location history and two way anti lost. We’ve mentioned this before and we will again before this review is over – we weren’t expect all of these features in such a budget dog tracker it just wouldn’t make sense but feel it’s fair to make sure we mention what is and what isn’t include with the device. This device signal is pretty much the same as a mobile phone would so be sure to choose the most reliable network in your general area. GSM frequencies are: 850/900/1800/1900MHz and GPS accuracy: about 5-15 m/5.47-16.40 yd so bare that in mind. The device can last for 5 days on standby time and is charged very quickly. The device is tough and durable and waterproof which is great but as mentioned previously it’s fairly big and not subtle which means it’s great as a locator and terrible to help locate a stolen dog. Overall, we really like this cheap GPS tracker because it does the minimum you need it to do at a very low price. This won’t do for hiking or perhaps very active and fit dogs who may go missing over a great distance though. You get what you pay for and perhaps an ideal choice as an entry level dog tracker with minimal financial commitment. Don’t forget o get your SIM card with this one. Call function: You can call the dog remotely without yelling, which is much better. Searching for a dog through sound and light: It is easier to find the location of loved pets through lights and sounds when you walk the dog at night. Feeding reminder: You can help loved pets to cultivate good eating habits. The Pod 3 tracker is simply out of this world in comparison to all the others we’ve tasted and it’s our pleasure to tell you why. This was true at least until they had a few problems. It is a pet tracker not just a dog tracker which makes it even better because of it’s light weight. So why does the Pod 3 get our vote? Weighting in at only 31 grams, with a length of 52mm and diameter of 0.9mm the Pod 3 is a small, lightweight cylindrical tracker suited for even the smallest dogs without hindering them – this is obvious a pretty key feature as if it’s cumbersome then it’s no good. Next, the Pod 3 is actually both stylish and subtle as you can see from the diagram on the left. You can attach it to an existing collar through a small hole or you can use Pod 3’s rubber straps which are provided. Perhaps the most important aspect of a dog tracker is it’s actual performance. The Pod 3 uses the 3 communication cornerstones of GPS tracking – WiFi, 2G/3G/Cellular and bluetooth which gives it more than one channel if the others fail. The Pod 3 (and many others on this list) work with each other in sync as opposed to at the same time. If you’re at home then clearly the WiFi is the best one to choose but if you’re outside in an area without great signal then 2G and bluetooth kicking giving you peace of mind that your expensive dog tracker (this isn’t that cheap) is working hard for your money. Our resident JugDog reviewers confirm that they never encountered a situation without signal on both the tracker or the phone we had the app on. We tested the mobile (iOs 9) and browser app and had no problems with it. In fact we found the app to be very clean, fast and didn’t sponge any of our battery or even data. Next up, the other performance factors of the Pod 3 – it’s bettery life and how much it can handle heavy, full on active use like a prolonged hike. Standby mode which is basically very low activity and more often than not non use (it’s just sitting around, switched on) is 4-5 days, which is almost a week. It is only a small device so that’s pretty much normal. If you’re using the zones feature then usage in this mode will last you 3-5 days which again is very respectable. Lastly, ‘full on’ use from a full charge will give you 6-8 hours, which is a ‘working’ day and more than enough for even the longest of hikes. Just be sure to charge it once home. With this in mind, we at JugDog never ran out of batteries when used it normally and when we did try and force a shutdown it did last 4 days which is exactly as they said it would last. The Pod 3 is not just a tracker but an activity monitor too, in some incredibly clever ways! The Pod 3 will record your dog’s activity as they wear it, it won’t give you any health and fitness data like a FitBit would but it does tell you how active they’ve been that day, the routes they’ve been taking and records any odd occurrences throughout. Why is this handy? Well, if you use this along with a camera at home then you’ll know exactly what they’ve been up to. Second, it will tell you if they’ve been getting enough exercise or not which of course is a great piece of information to keep them healthy and happy. It’s not all plus points for the Pod 3, however, as there are some drawbacks to consider. The first and perhaps the elephant in the room is that it’s quite expensive at around £120 (before taking into account the subscription). We’ve got our readers 5% off, but even still it’s not cheap to keep an eye on your pet. Second, is the other elephant in the room – the monthly subscription. Now, before we begin on this point it’s fair to say that subscriptions for GPS services are normal but nevertheless they can be expensive. Pod 3 will ask for £49 annually or £6.95. Lastly, and perhaps the crowning point of the Pod 3 are the other modules you can get on top which are an XL battery (self explanatory), ultrasonic module which mimics a dog whistle and a torch. Along with the activity monitor, this pod 3 dog tracker really has a ton of features it really doesn’t have to have but does. And that’s why it’s the best of the bunch. There we have it. We at Jug Dog think that the Pod 3 is the best overall dog GPS tracker because it has every feature present which is necessary to be a decent tracker and much, much more. It looks stylish, works very well and the service from Pod 3 is second to none if you have any questions or problems. If you’re looking for a dog tracker and you’re not looking for the cheapest deal then you really can’t go wrong here. A dog tracking device almost always comes in collar form with a receiver attached to it. You may or may not have noticed a rise in location detection and monitoring technology from GPS location services on your phone to be able to check in to places or even find out where your friends might be, to the classic in car GPS Sat-Nav. GPS dog collars are just an extension of this rise using more or less the same technology – radio towers. GPS stands for Global Position System and use radio towers to relay the location of the connected device – and this is exactly how dog tracking collars work. It essentially tells you what is their closest radio tower, because there are so many these days they can now be quite accurate. So that’s pretty much what a dog tracker is, a device which connects to towers and then sends a signal back the owner usually via an app on their phone. As long as both have signal it will work but as it is signal related this may be unreliable in areas of poor coverage. Often, this is the reason why there are some dog trackers which are much better than the others especially when it comes to the sport dog trackers which have an incredible ability to pickup and relay a signal from a collar. This is possibly the worst case scenario of any dog owner on earth. Dog trackers can work and help the owner in the event they are stolen. But be sure to act quick on the information the dog tracker has given you and don’t attempt to get the dog back without the police. Remember, your dog’s life could be at risk as is your own. There’s a lot of dog trackers online you can buy these days which makes it better and worse for the ones looking for them. On the one hand you have a wide choice but on the other, it becomes muddled over which is a decent one and which is a waste of money, so we’ve listed some quick bullet points on what good GPS collars for dogs have in common. This one should go without saying really. A great hound proximity device should have a decent enough range to communicate with the nearest signal tower. If it’s weak then it will lose signal and you just won’t know where your dog is. Poor signal can defeat the whole object of a canine tracking collar. Another one that may be quite obvious is good battery life. If the GPS device will be ‘always on’ then this one may be a more important point that others. Check to make sure it will last a decent amount of time on a charge/new battery. A good tracker should be waterproof so that it will continue to work in wet conditions such as heavy rain or even being lost in a river etc. The very best dog trackers of 2018 can utilise zones, this means that there are certain areas that are safe for the dog to wander into and won’t trigger an alert but then if they wander outside of the zone it will tell you. Some brands call zones GeoFences so keep an eye for that. We can see that the product is not available any more. When we got our hands on a tester product we found it to be a good product. We can only review a product based on our own experience – if someone else has had a bad experience then they are more than welcome to share their opinions here but if we had said the product was poor when we didn’t think it was then that would be lying and we aren’t about that. We are a website run by real dog owners and take our reviews and integrity seriously which you’ll find a lot of other websites don’t. You havn’t tried the Prothelis Greta GPS Dog tracker, surely if your going to pull this kind of stunt all trackers need to be tested. Not good! Thanks for your comment. First of all, you’re right we haven’t reviewed that exact product just like we haven’t reviewed the vast majority of dog products out there – we are only two people running the website with full-time jobs and a young child so we simply can’t review everything. Second, Prothelis haven’t sent us a test product to review either. Thirdly, we don’t know what you mean by ‘stunt’ and do take offence to this insinuation that because we haven’t reviewed YOUR product that we are somehow misleading our readership. We take our reviews very seriously and you can see from our website that it is run by real people with an actual dog. Thanks again for your time and we look forward to your response.